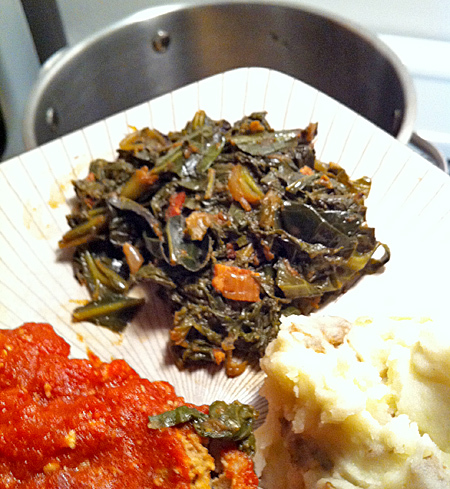 Southern Greens - Just Like Mama Used To Make! | Let's Cook With Bry! A staple in many Southern homes, this side dish is packed full of nutrition – assuming you don’t overcook it, as is the traditional Southern way. 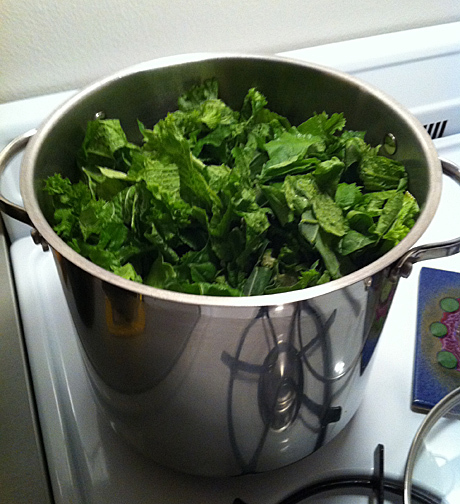 I prefer to cook the greens for about 30 minutes, to retain the nutrients and flavor. Trader Joe’s sells the greens in a bag already washed and chopped, which makes it very convenient to prepare this as a side to my turkey meatloaf. In a large, deep stock pot, saute the onion and garlic in oil or bacon fat for about 5 minutes. 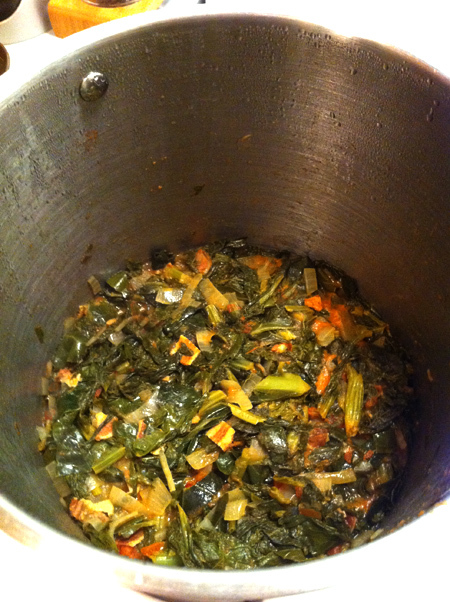 Add the bacon bits, then add the greens, a handful at a time. Spoon the mustard on top, and pour the stock over the greens. Cover the pot, and simmer for about 30 minutes, stirring occasionally – you will see how much of the volume diminishes almost immediately. Just before serving, add the vinegar and optional hot sauce, and stir to incorporate.